Although grocery shopping is just another one of our daily activities, it’s rather bothersome to wake up extra early on a Saturday morning just to head towards the market to get fresh ingredients. That’s why grocery delivery apps exist—to make things convenient. But this company is looking to give local pasars a new competitive stance in the industry. PasarTap plans to take on the job of delivering fresh local products to your doorstep so you’ll never need to go through the hassle of finding a parking at a grocery store anymore. This online platform is the right one for people who love cooking at home but never have enough time to go to the market or grocery stores to find the necessary ingredients for their meals. To make things even easier, they also have meal-kits on their platform. All the necessary ingredients will be purchased and compiled then delivered. The founder of PasarTap, Hafiz Hassim, came up with this delivery service idea after researching different businesses and finding that the traditional market—that used to be our main purchasing point for produce—has changed and deteriorated. So, he wanted to bring back the fresh ingredients that people used to love. “Pasars has been the bedrock of our community for hundreds of years. These pasars used to be the centre of commerce, the heartbeat of a community until the arrival of modern retailers,” he said. With the emergence of these new grocery stores, it was only a matter of time that the prices got hiked up by those who monopolised the new market. Imported goods became the new supply and locally produced food were overshadowed. “As a result of this ensuing cycle, you see the growing role of supermarkets and hypermarkets run by the large international corporations—the big boys. This would change the whole landscape of the supply chain such as favouring international producers,” Hafiz said. 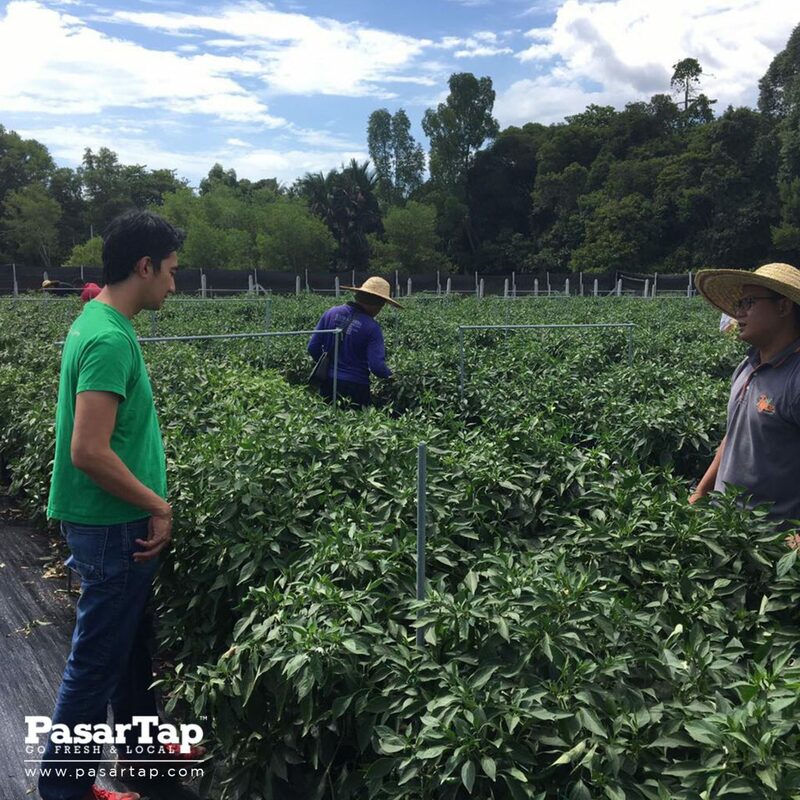 PasarTap aims to change that so that both local producers and customers can benefit from this service. The founder built this online platform in hopes to connect the local pasars directly with the community of online users and consumers. Hafiz has a 15 years experience in the F&B line through managing restaurants and with this knowledge he knows exactly what to focus on to give his business an edge. “I have insights on consumer behaviour, the fluctuation of supplies and hence, the challenges in the ecosystem. This gives me a better picture for us to make informed decisions,” he said. The platform offers a range of products and you can take your time to choose your grocery—all from the comfort of your home. This, however, doesn’t mean that the quality is not on par with the rest. The freshness of the products are similar to those being sold in the stores as the products are all from the morning market. If you order before 3pm, you get it delivered to your home that very day. If you order anytime after 3PM, it will be bought the next morning. They are currently partnered with Pasar Awam Chow Kit as the founder has been a long time customer to this supplier. “The reason why we started off from Chow Kit is simply because as a restaurateur, my supplies mostly came from there. Naturally there’s that embedded trust, which was a great way to start it off,” Hafiz explained. They are working on getting more suppliers but as an online platform, it would take some good convincing to get this traditional industry to trust in the new approach. Hafiz also chose to work with these suppliers as he believes that the history of this market gives them the right narrative for their mission. “Chow Kit has been around for at least 100 years. It has been the heartbeat of KL,” he said. With just a RM3 delivery free and 10% handling fee, the company buys and sends the groceries to you—and you need not worry about the quality of this service. If ever the products are not up to standard, PasarTap implements a refund policy that would ensure that they get you what you actually want. “We have a strict refund system in place. We have service-level agreements with our suppliers in the Pasar. They are bound to provide the platform products of certain quality specified by us. So should there be issues with the freshness of the products, no questions asked, we will either refund for that particular product or we resend a new batch for that particular product,” Hafiz said. PasarTap believes that this platform will be the catalyst to jolt the current stagnant food and grocery industry—all while reducing our carbon footprint. “They are the ones who grow the produce, prepare the products and provides the service for everyone. 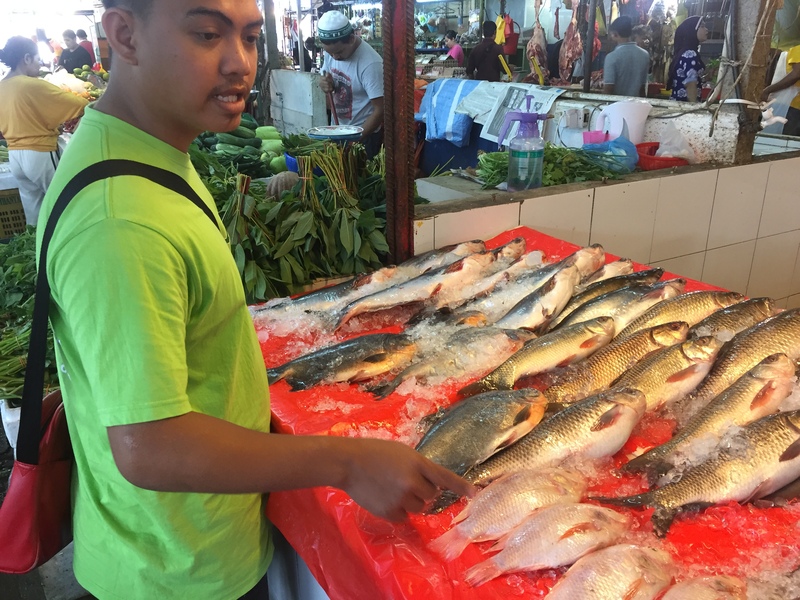 By buying from PasarTap, you are supporting the local food ecosystem.” Hafiz explained. The company is working on the best approach to gain momentum with their platform right now. “The faster route for us to work with the many many small hold farmers is to work with the agencies that are managing them. Hence, we are in active conversation with 2 state governments; namely Selangor and Penang to be part of their food supply solution. This is also ties in with their smart-city aspirations,” he said.